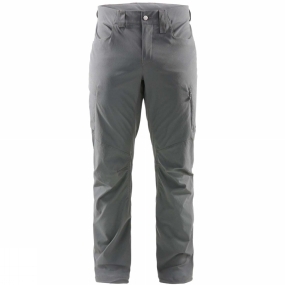 The Mens Mid Fjell Pant from Haglof is a hard-wearing item that is a must-have for tough adventures. Made from durable Climatic stretch fabric, these trousers have many plenty of pocket space, keeping the essentials in easy reach to help you on your journey. Perfect for heading out into rough conditions, thanks to the weatherproofing.